Celebrating its independence in specialty bookselling for almost 30 years, Centuries & Sleuths Bookstore's atmosphere is warm and friendly, with oak/cherry bookcases, shelves clearly labeled with the historical era / topic, mystery, or related subjects of their books, and comfortable seating, inviting you to browse your chosen subject(s). If you're unsure where to start, our knowledgeable, helpful staff will be happy to act as your guide through fact or fiction, history or mystery, and adults' or children’s books. They'll even giftwrap your book purchases upon request. Often, you can discuss your opinion about a book with other like-minded (or not) readers, or even with the author who excited your curiosity, rapture, or dissent, because five different reader/writer discussion groups meet here regularly; and we host frequent author and community events. You can follow our events, order books online, and see "staff picks" of books we recently enjoyed, or our groups are discussing, on our web page, Facebook, or Instagram. Or sign up to receive our monthly newsletter. By all means, get to know us better! 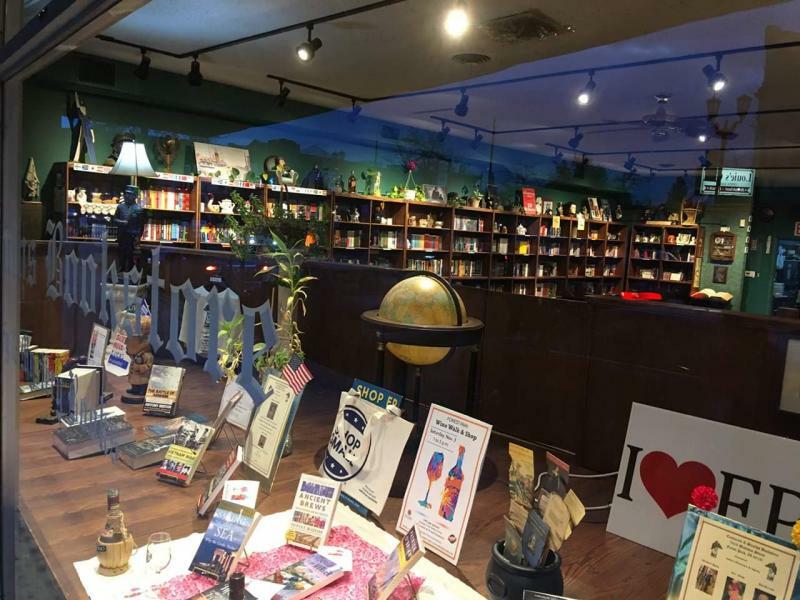 More than two dozen independent bookstores in the greater Chicago area—from Lake Forest to Beverly, and Naperville to the Loop—are collaborating on a third annual #ChiLoveBooksChallenge, which encourages book lovers to indulge in bookstore tourism by visiting 10 or more stores in a single day. Quimby’s is proud to participate. 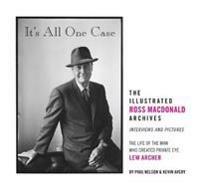 *There will be two $5/ticket Raffles for two very collectible books from Michael Black's peronal collection: The Illustrated Ross Macdonald Archives (Interviews and Pictures) The Life of the Man Who Created Lew Archer by Paul Nelson & Kevin Avery with Jeff Wong and Introduction by Jerome Charyn. And Barrier Island the last novel of John D. McDonald. Ross Macdonald, whose real name was Kenneth Millar, was born Dec. 13, 1915, Los Gatos, California, and died on July 11, 1983, Santa Barbara, California. He is generally credited with elevating the mystery and detective novel to the level of literature with his compactly written tales of murder and despair. Though born in California, Millar spent and served in the Navy in World War II. After the war he received a Ph.D. from the University of Michigan while trying to build a career a writer. 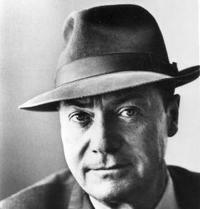 He was married to Margaret Millar, an established mystery writer in her own right, and so as not to create confusion, Kenneth Millar began using the pseudonym John Ross MacDonald, which he later shortened to Ross MacDonald. He is best known for his series of detective novels featuring private investigator, Lew Archer. John D. MacDonald was born on July 24, 1916, Sharon, Pennsylvania and died December 28, 1986, in Milwaukee, Wisconsin. He was an extremely prolific and talented writer whose published works spanned numerous genres ranging from mystery, suspense, science fiction, and nonfiction. In all, he wrote over 70 books in his lifetime. After obtaining his MBA from Harvard, MacDonald served in the Army in the OSS (precursor to the CIA) in World War II. He is best remembered for his series of 21 crime novels featuring private investigator Travis McGee. In what started as a misunderstanding, grew to a lifelong feud between the two men, both of whom made enormous contributions to the mystery/suspense field. Learn what caused the riff and how it eventually played out in the discussion of these two men and their works. Michael A. Black is the award winning author of 30 books, the majority of which are in the mystery and thriller genres, although he has written in sci-fi, western, horror, and sports genres as well. A retired police officer, he has done everything from patrol to investigating homicides to conducting numerous SWAT operations. Black was awarded the Cook County Medal of Merit in 2010. He is also the author of over 100 short stories and articles, and has written two novels with television star, Richard Belzer (Law & Order SVU). Black is currently writing the Executioner series under the name Don Pendleton. His Executioner novel, Fatal Prescription, won the Best Original Novel Scribe Award given by the International Association of Media Tie-In Writers in 2018. His latest novels under his own name are Blood Trails and Legends of the West. Books That Will Be Raffled Off.. Centuries and Sleuths on TV!